Done deal: Carlo Ancelotti to Napoli. Aren't they dying to win the Scudetto? Ancelotti has the worst record in winning domestic leagues, was it 1 Scudetto in 13 attempts? More interesting is the mercato for them. Who will it attract, and more importantly can they keep their stars single they don't pay competitive salaries exactly. Reina is hardly a huge loss. It will be interesting to see what the other players want to do. 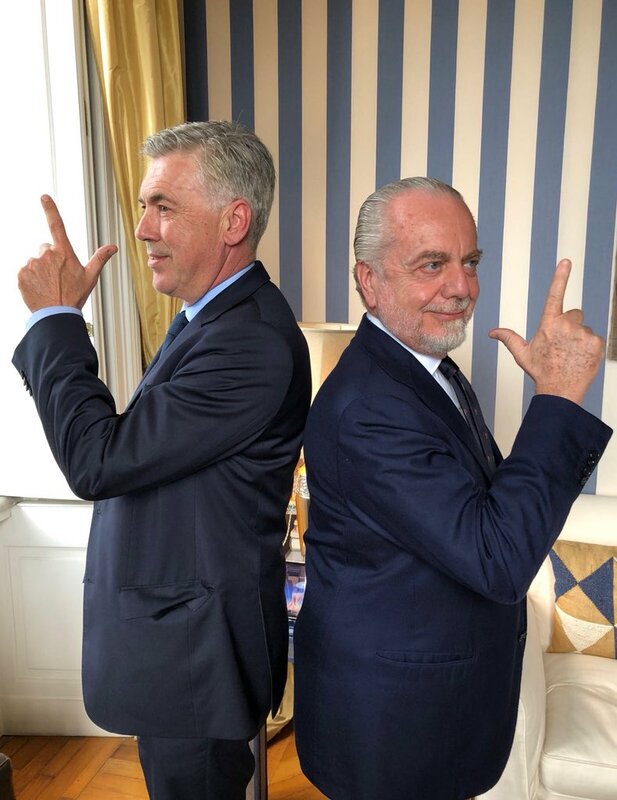 I expect ADL to invest badly for his new coach anyway as I doubt that Ancelotti accepted the job without promises of investments. This appointment has to hurt for the pride of Milan tho. Can't attract one of their biggiest legends to choose them over Napoli. Not really. It was obvious we were going to continue with Rino so Carlo wasn't an option. If we still had Montella then it would have been different but the management wants to continue with Gattuso and it would be unfair to sack him now. You wouldn't sack Gattuso for Ancelotti? Because barely qualifying for EL screams must Keep? More likely they failed to attract him, Conte or Sarri with their uncertain project. It's not often 3 top Italian coaches are available in same summer. No because it wouldn't be fair to Gattuso. He took over while the team was a mess. We improved a lot under him. He deserves to start a season with full preparation. It's quite a challenge for Ancelotti. It's one thing to win at PSG/Milan/Real/Chelsea/Bayern, but at Napoli it will be harder. I really hope there can be a more level playing field this year with new contenders that won't fight to choke in the end. With Sarri and prolly a few key players leaving, ADL decided to focus on revenue growth, prestige, and I'm guessing a change in mentality (though he himself has to change first). Not a bad idea esp if Conte wasn't interested. CA won't be as good a league coach but will do better in Europe, generate more interest in Napoli, and is more likely to attract quality players with his connections and resume (all of which mean more revenue). Is Di Maria to Napoli possible? Seems impossible on the surface, but he's considered an EPL failure he doesn't have many choices. And ADL uncharacteristically already broke the bank for CA. It'll hurt the pride of Milan and the Milanisti only b/c they're delusional. The thought of Ancelotti coaching an upper midtable Serie A level team shouldn't cross anyone's mind and that's without even mentioning ownership issues, financial trouble, and UEFA sanctions. Napoli is even valued higher than Milan now. Last edited by pavnedved; May 24th, 2018 at 02:03. CR7 coming to Italy has the potential to really lift viewership and the prestige of Serie A. It will be interesting to see how this affects this summer's remaining mercato. How far will Roma, Napoli and the Milans go to try and chase what looks like a runaway Juve? Personally, I'll be very surprised if Juve go another season without a new CB. They are aging rapidly in that dept. I'll be very surprised if Juve go another season without a new CB. They are aging rapidly in that dept. Chiellini is 33 and Benatia 31, its more then well enough for now to be top competetive, in a position where experience and seniority is highly valued. Only truly old one is Barzagli, and he is gonna stay for a while longer to part wisdom and stability in the group. They are the backups and are top talents , with Barzagli there too, how much backups do you need for CBs? Our issue isn't CBs but CMs. Real aside, have you seen the CBs playing for other top teams?